1. Annascaul Inch Utd 4-3 Kilmoyley Athletic . 2. Killorglin B 3-2 Asdee Rovers . 3. Mainebank Fc 0-1 Inter Kenmare . 4. CS Abbeydorney v Castleisland B . 5. Lenamore Rovers 3-0 Killarney Athletic B. 6. CG Killarney 3-0 Ballyheigue Athletic B . 7. St Brendans Park v Camp United . 8. Listowel Celtic B 1-2 Killarney Celtic B . 9. AC Athletic v Killorglin Afc A . 10. Classic Fc 3-0 Ballybunion Fc . 11. Strand Road Fc 2-1 Ballymac Celtic . 12. QPR v Castlemaine United . 13. Sneem Santos 0-3 Rattoo Rovers A . 14. Manor West Fc 2-3 Rattoo Rovers B . 15. Ballyheigue Athletic A v Ballyhar Dynamos . 16. Castlegregory Celtic v AN Other . Killorglin B v 7 . Strand Road 1-2 Annascaul Inch Utd . Inter Kenmare v Killarney Celtic B . Classic Fc v CG Killarney . Rattoo Rovers A v Lenamore Rovers . Rattoo Rovers B 4-3 Castlegregory Celtic . 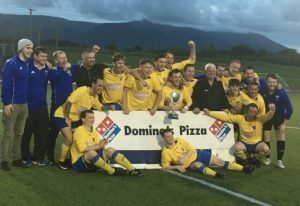 All games apart from the Dominos Pizza Reserve Cup Final must finish on the day. If the final ends in a draw it will go to a replay. NOTE; All KDL Cup semi-finals and Finals will take place in Mounthawk Park .